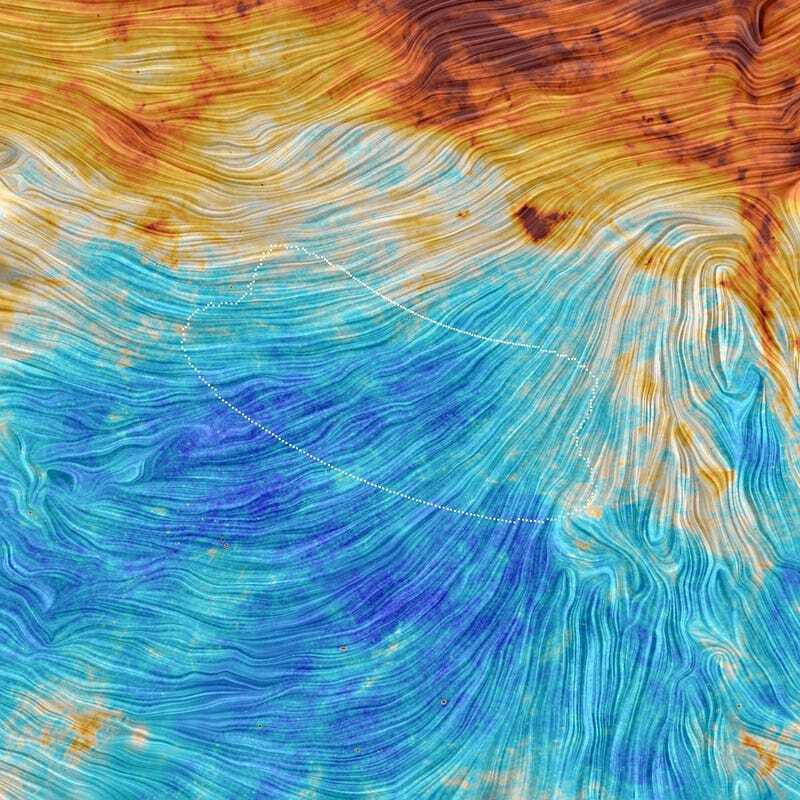 It may have not found the Big Bang's smoking gun, but the Planck mission in the South Pole has detected something important: The orientation of the galactic magnetic field—"this image represents the emission from dust, a minor but crucial component that pervades our Milky Way galaxy." The texture indicates the orientation of the galactic magnetic field. It is based on measurements of the direction of the polarized light emitted by the dust. The highlighted region shows the position of a small patch of the sky that was observed with two ground-based experiments at the South Pole, BICEP2 and the Keck Array.